We should all be putting a little bit away for a rainy day. As the saying goes, look after the pennies and the pounds will look after themselves. This post is short, but it will hopefully provide you with a money saving plan to help you stay on track. The sad truth is according to a recent study more than a quarter of the residents in the UK have no emergency funds they can call on. My plan is to change that! 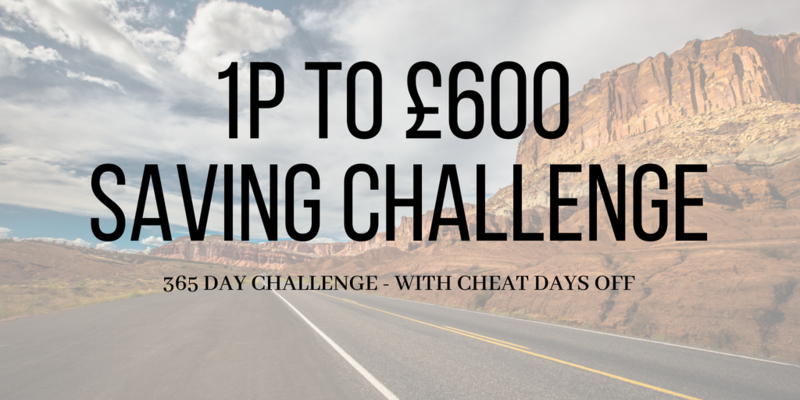 Welcome to the 1p to £600 money saving challenge. The following chart is a guide to use EACH DAY. 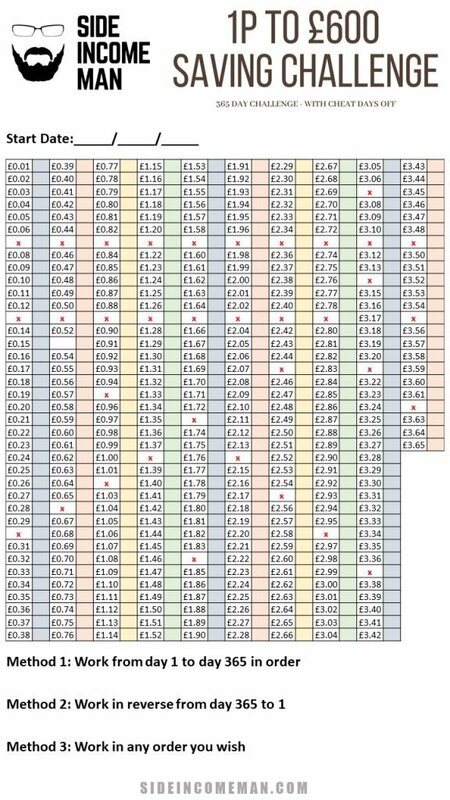 As you will see from the chart though there are many cheat days off, where you do not need to save that day. But, the idea behind this is to start off small. In fact, Day 1 requires you to put aside 1p. Yes, 1 pence. I’m sure you can manage that. It grows by 1 pence each day (sometimes a bit more if it follows a cheat day) but you’ll get the idea. Use it however you want. Some people will stick to it and follow the daily plan, others may want to start in reverse order and work backwards. Others (like my family) just follow it in any order, as long as you fill a slot when required you are good. Put the date you start on the top and do it every day for a whole year. For a free PDF print off version click here. If you complete it you will have £600 (or $800 for US savers). Work together – get your partner and other family members on board. Pin this chart up somewhere. When somebody completes an entry tick it off. Check your change at the end of a day, you will have some and you will be able to complete a daily entry. Think – DO I REALLY NEED THIS TAKEAWAY COFFEE today? Or can I walk instead of getting the bus to work for example? So – there you go. Each day just pop the amount shown into your sealed jar. A year later you WILL have £600. And that amount of money is more than a quarter of the UK has to their name. Even if you don’t need it you may want to do it anyway, it can be a great little family project and build discipline for the kids too. Teaching them to save. If you want to give this a go I’d love to see how you get on. 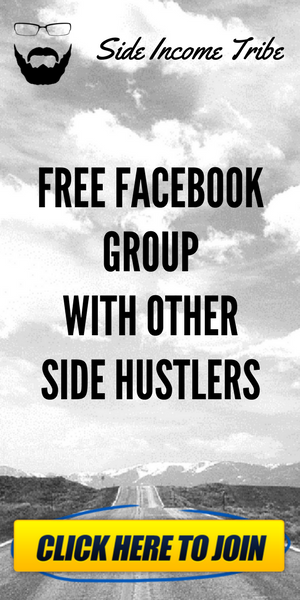 Why not join the Facebook Group to share this and get involved with the other side hustles people have going on! 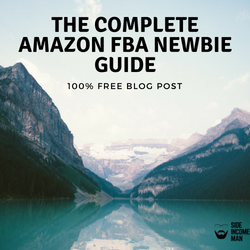 Please drop a comment in below to let me know what you think and if you are going to join in! Good luck! What a great idea! The chart looks awesome! Who knew it was so simple to save that much extra money in a year?? Thanks for dropping by Elizabeth – and yes, we find this way a simple way to save up a few pennies. We get the kids involved and they love it too. Today is the day!! Let me know how you get on. Don’t just go for the easy ones first hahah!